Using “trash” (construction and other refuse) to build homes. Quote “in a town this size would otherwise be discarding usable building materials that could build a small scale house a week… That’s crazy! when we have families that would do anything to own a house.” Great ideas, funky original homes. With the worldwide economy in the trash — and people cutting back for the impending recession — we can’t help but glance sadly at the Ovetto Recycling Egg and wonder ‘what might have been?’. You see, sorting recycling can be something of a chore for people; though I’m not sure why. If I gave my parents this egg, it would probably increase their efforts to recycle beyond the guilt and shame I shower on them every time I find a bottle in the garbage. What do you think — want one? If you looked quick enough, you might be mistaken that this is a real horse. 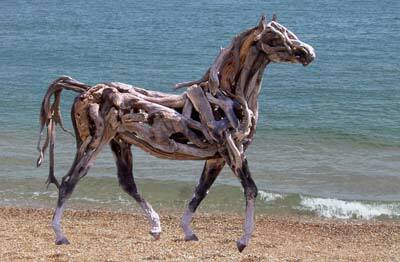 Instead, it’s a sculpture put together with pieces of recycled driftwood. 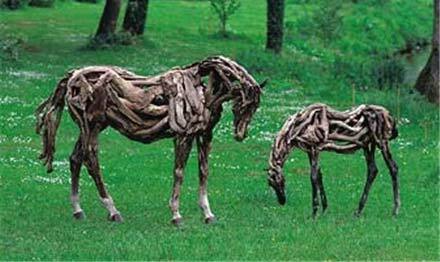 The work is the result of artist Heather Jansch — who specializes in art created with driftwood and bronze. “The watches will have black dial faces thanks to lacquer paint, the ingredients of which consist of coal from the Titanic, while pieces of steel from the vessel will also be used in their creation. We’re pretty sure these things are not going to be cheap; but if you can’t afford the Heart of the Ocean, this might be your next best bet. This is the 25th year that New York has had a 5 cent deposit on all soda cans and bottles. According to NYPIRG this means over 5 million tons of recycleable glass, plastic and aluminum has been kept out of our state’s landfills. Our current rate for recycling deposit containers is at 80%, 70% through bottle redemption and 10% through curbside pickup. This is an impressive rate that has rid streets, parks and lots of refuse, and saved energy and reduced landfill. It has been hard to ignore the explosion in popularity of sports drinks, iced tea and bottled water over the past decade. These bottles are currently exempt from the 5 cent deposit in NY state, although they are accepted in curbside recycling pickup. 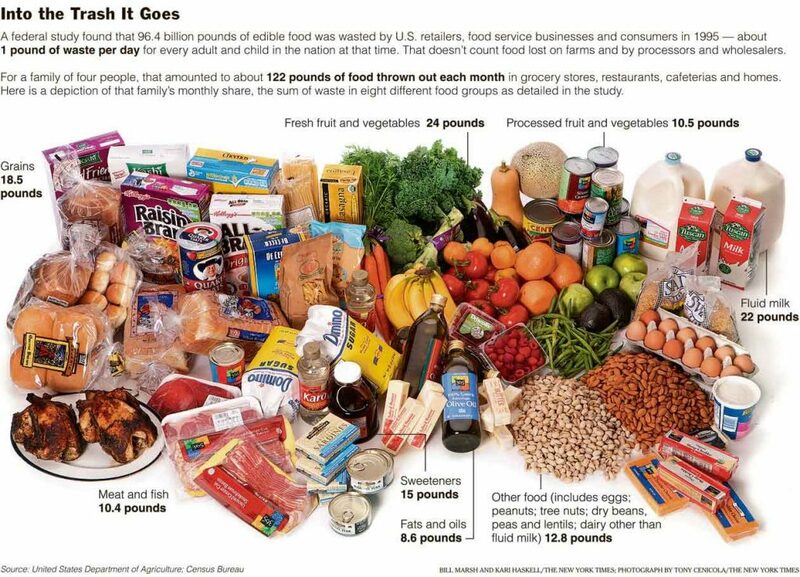 Despite the availability of blue bin recycling, only 20% of non-deposit containers are recycled. You can see it in airports, workplaces and schools, plastic water bottles fill trash cans – and head straight to the landfill. Not valuable to those searching for redeemable containers, they remain as litter on the side of the road and in the street.